Sandra moved to the East Side with her family in 2003 and started The Lift in 2005. In the early years, her job description included everything from picking up kids for programs in the giant green Lift van to recruiting volunteers to raising money to writing curriculum. Today, she shares the joys of all these jobs with a great staff of gifted people. Sandra’s focus is not just on providing quality programming, but on meeting youth where they are. Do they need help with school work? Do they need food? Do they need to know someone cares? She makes sure someone is there no matter what’s going on. She has a B.A. in Organizational Studies from Bethel University, an M.A. from Bethel Seminary, and an Ed.D. in leadership from the University of St. Thomas. Her dissertation research was in the area of reciprocity in relationships that cross lines of race and class. She has been married for over thirty years and has three adult children. Her hobbies are reading and playing tennis. Desirae is from Chicago, Illinois and moved to Minnesota about twelve years ago with her family. She is the oldest of six children. She started off working as a Cinema Associate for The Lift’s job skill training program at The Plaza Theater, and is now an intern with our Level Up program and a Shift Lead at the Plaza. She enjoys going to concerts as much as she can—she tries to go to at least three a month! She loves spending time with her family and her cat, Farley. Hanging out with friends and going out to eat to try new foods have become a new hobby. The Lift internship spiked her interest because she wanted to give back, and have a meaningful purpose. She felt working with the youth in the program would be a great opportunity to do so, considering she can relate to a lot of them. She feels she can be a role model and reminder to the kids that they are capable of doing things they want as long as they keep their mind to it! Israel was born and raised for most of his life in St. Paul. He started out working for The Lift’s job skills training program, and in 2018 joined the staff to work with and mentor the kids. Having experienced trials himself, he has a deep, growing passion for making a difference in any life he can. Israel is always seeking wisdom, and loves to read, learn languages, and research things he can use to enhance his living experience. He enjoys sharing the knowledge he learns, and looking for ways to communicate more openly. Attempting to put God first in his life, he aims to be a walking representation of God’s love one day. Ginny grew up in East St. Paul and has been part of The Lift since 2006. In 2017, she took on the job of Program Coordinator, which is a perfect match for her love of getting organized, making lists, and then crossing them off. More than just coordinating logistics, though, Ginny fosters healthy, positive relationships with the youth. She believes that any interaction and quality time can make a difference in a young person’s life. She enjoys spending time in the garden and eating the vegetables of her labor. Often you can find her out swing dancing or riding her bike. Paige joined The Lift in October of 2018. Her combined passion for administration and creativity enable her to support Power Up as a program manager. 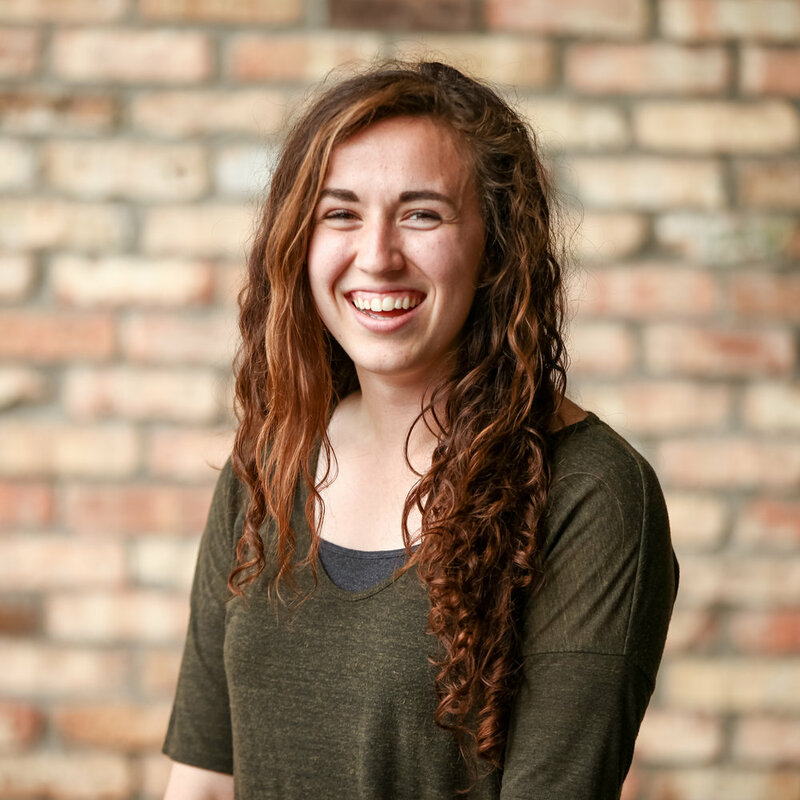 Studying ministry at Northwestern University showed her the importance of mentorship and relationship building with young people. She enjoys theater, storytelling, and showing hospitality. She believes the best things in life are worth sharing. Lisa is from the East Side of St. Paul, and enjoys helping people and working with the kids at our Power Up program for elementary schoolers. When not working, she loves to spend time hanging out with friends and family. Sarah started working with The Lift in March 2018. With an educational background in psychology from Bethel University, she is passionate about advocating for healthy lifestyle skills, mindfulness, and building positive relationships with the youth in our programs. Sarah also works as an educational assistant in a special education classroom. She enjoys running, reading, and spending time outside. Connor has been part of The Lift since the very beginning. As a teenage volunteer, he whipped up videos in Windows Movie Maker and cobbled together flyers in Microsoft Word. Now, as an adult, the tools have changed, but the job is pretty much the same. Through structure and clear communication, he makes sure every person who attends a program, volunteers, or donates feels welcome and part of something meaningful. He’s a writer with a B.F.A. from New York University. He now lives in Minneapolis, where he explores state parks, plays board games, reads, and listens to podcasts. He is passionate about telling better stories—about ourselves, each other, and our world. Julie has lived on the East Side of St. Paul since 1998, and has been a part of The Lift since its beginning, first as a volunteer, and then as a staff member. She has been married for over twenty-five years, has two sons, and will get to add a daughter-in-law to the mix later this year. Two days a week she gets her baby fix as a nanny, and in her spare time she loves to see movies, be with girlfriends, or get in her little green car, crank the tunes, and drive.